Merci pour le chocolat has intricate plots wending their way through the elegant homes of several well-heeled French-Swiss in the environs of Lausanne, Switzerland. 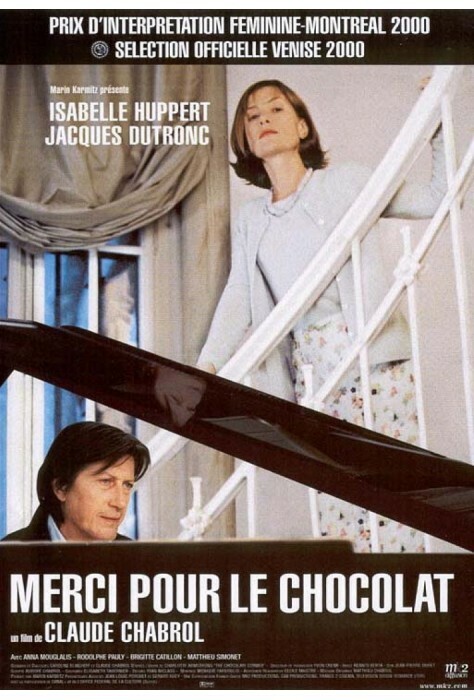 Isabelle Huppert stars as Mika, the couture-attired, oh-so-perfect head of a company that manufactures Swiss chocolate; Jacques Dutronc is André, her suave, concert pianist husband whose first wife died years ago in a mysterious car accident. When a beautiful young woman unexpectedly enters Mika and André’s life, long-held secrets are revealed and facades fall away. 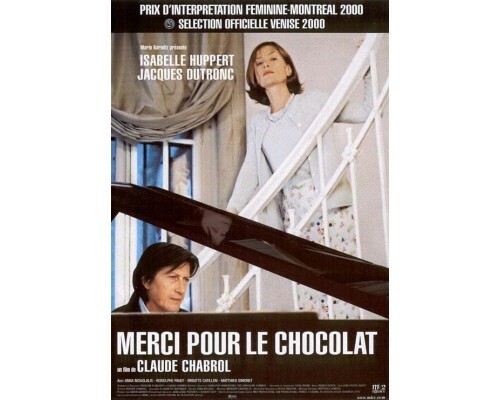 Chabrol, the most Hitchockian of the New Wave directors, has fashioned a delectable psychological thriller. 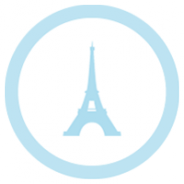 2000, 99 minutes, MPAA rating: NR (would be rated PG or PG13 if rated), DVD in French with English subtitles.